Provence food is typically rich in flavor but simple in style. Provence, France lies in the south-eastern side and is blessed with a warm climate with on average 300 days of sunshine. 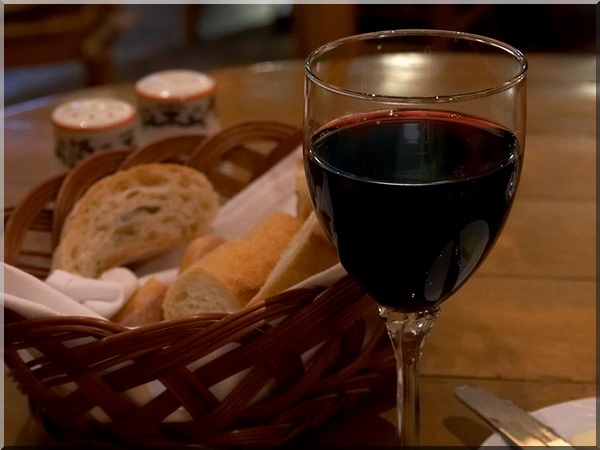 As a result it produces wonderful food and wine that can be sampled throughout your travels in the area. Here you will find markets brimming with wheels of cheese, overflowing baskets of mushrooms, sun-kissed tomatoes, sweet melons, zucchinis, downy peaches, luscious eggplants and wine farms open for wine tasting dotting the countryside. The French are passionate about their food, second only to the Italians. And in Provence it is no different. In summer it swarms with tourists. However, in September the area closes for the tourists and it is now that the locals emerge. Provence food in the summer is bountiful and local markets cater to the locals and are held weekly. These are normally morning affairs where you can buy the best there is to offer. The cheese makers can be seen from afar in their wide brimmed black hats, their tables precariously stacked with wheels of cheese, large and small. Cheese of all descriptions can be found, whether it is cow's, goat's or sheep's cheese you are after. In fact, the French have so many varieties of cheese, that they have more cheese types than there are days of the year! However, one cheese that goes back to the time of the Romans and is made throughout Provence is Banon. It is a goat's milk and cow's milk cheese that is quite distinctive in appearance because traditionally this round cheese is wrapped in chestnut leaves and tied with raffia or straw. Banon is creamy with a full fruity and woody flavor. If you come to Provence at the right time of the year you will be able to find not just tables laden with succulent and ripe fruit and vegetables, but you will find mounds of mushrooms placed artistically on beds of wine leaves of pine needles. White, brown, orange and rust fungi are piled high, all of which have been gathered from local fields and forests. You will also find lavender being sold by the bunch during the months of July and August. If you are visiting, pick up all your Provence food from these markets and head into the countryside for a picnic. You will be surprised what you will find here. Crunchy breads to go with that cheese, plump red tomatoes, cool cucumbers, smoked sausages, rotisseries selling chickens and quail, and finally a bottle of good red found at one of the local cellar doors to wash it down. These are known as "caves", not your potholing, variety, although there are several of those in Provence too, but I am talking about wine tasting rooms. The wine has improved from what was first referred as "Jug Juice". The vineyards are open to tastings, and you are sure to find something that suits your palate. Predominantly, it is an area that produces copious amounts of rosé and some excellent whites. However, if you need some help in choosing your Provence wine, some recommended whites come from the following vineyards: Clos Ste. Magdeline, Chateaux Val Joanis, Domaine St-Andre-de-Figuiere and Domaines Gavoty. If you want a rosé look out for Chateau Romassan, Commanderie de Bargemone, Commanderie de Peyrassol, Domaine la Forcadiere and Domaines Gavoty. And finally, some good vineyards producing reds: Chateau de Beaucastel for the well known Chateauneuf du Pape, Chateua du Trignon, Chateau Val Joanis, Domaine de Pibarnon, Domaine des Alysses, Domaine Font de Michelle again famous for its Chateauneuf du Pape, and Domaine Tempier. All perfect to go with that special Provence food you have chosen for a delicious and memorable meal. There are a number of markets for your Provence food, some held daily, others weekly. One of the best places to visit is Isle sur la Sorgue for its food market. It operates on a Thursday and Sunday, and this is the time to interact with the locals. This is a market that sells fresh fruit, vegetables, smoked sausages and ham, cheeses, fish and meat. It is also the place to shop for Provençal items, like pottery, tablecloth and linens that you can take home as gifts for friends and family. Other markets in Provence that are worth a visit is the daily market at cours Seleya in Nice, not far from the Chateau, and the food and flower market in Aix en Provence. Aups has a Thursday morning market during the truffle season between November and April that is also worth the trip. Provence food also comes in the form of a number of classic dishes, many of which are made with olive oil, rather than butter that is used in the rest of the country. Bouillabaisse is their classic seafood stew made with a mixture of fish and shellfish, tomatoes, garlic, saffron, herbs, wine and olive oil. Bourride, very similar to bouillabaisse, is made without tomato and is thickened with aioli, a garlic mayonnaise, and another famous Provencal dish. Pistou is like Italian pesto and used as a sauce, a condiment and an essential ingredient in "soupe au pistou", a soup very similar to Minestrone. Tapenade, a ground mixture of olives, anchovies, capers, olive oil and lemon juice, which can also be found in Italy, is eaten here. In autumn and winter, a variety of hearty stews, or daubes as they are known, are produced from various meats and wild game such as pheasant, partridge, and wild boar. The main hunting season lasts from late September to March. So take care during the hunting season and don't be mistaken for a wild boar while traipsing through the forests of Provence!